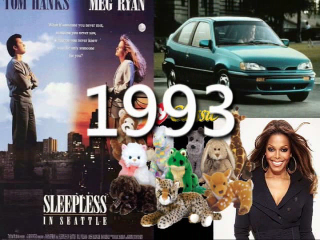 For Microsoft, 1994 was an ambitious year as we introduce the architecture for its new software solution, code-named "Tiger," for delivering continuous media such as audio and video. We sign a definitive agreement to acquire Softimage, Inc. of Montreal, Quebec, a leading developer of high-performance 2-D and 3-D computer animation. And Microsoft Plus, a support program designed to increase users’ satisfaction with Microsoft and its products, is announced. The 1994 fiscal year-end sales total $4,649,000,000. The 1994 fiscal Year employee headcount totals 15,257 people. Official Subsidiaries Launched: Microsoft De Centroamerica S.A. (Costa Rica), Microsoft Peru, S.A.
Microsoft Plus, a support program designed to increase users’ satisfaction with Microsoft and its products, is announced. Microsoft signs a definitive agreement to acquire Softimage, Inc. of Montreal, Quebec, a leading developer of high-performance 2-D and 3-D computer animation and visualization software. The stock transaction, which has an approximate value of $130 million U.S., has been approved by the boards of directors of both companies. Microsoft introduces the architecture for its new software solution, code-named "Tiger," for delivering continuous media such as audio and video. The Tiger technology, based on Microsoft® Windows NT™ Advanced Server, is a fully scaleable media file-server solution, providing media-on-demand for personal, corporate, and citywide deployment. Compaq and Intel are the first hardware manufacturers to demonstrate continuous media servers based on this technology. · Novell acquires WordPerfect for $1.14 billion and buys Borland's Quattro Pro for $145 million. · Compaq ranks number one in worldwide PC shipments, surpassing IBM for the first time. · Following South Africa's first open elections, Nelson Mandela becomes the country's first black president. The baseball season ends in a strike. For the first time in 90 years, there is no World Series. Earthquake: The 6.7 magnitude Northridge earthquake hit the Los Angeles area, killing 57 and causing $15 billion worth of damage. · Soccer: For the first time ever, the US hosted the World Cup playoffs. Brazil defeated Italy in the final. · End of Apartheid: Following South Africa’s first open elections, Nelson Mandela became the country’s first black president. · Chechnya: Russian troops were sent to the breakaway territory of Chechnya, beginning the first of two wars against Chechen guerillas. · TV: Top-rated shows included “Home Improvement,” “Seinfeld,” and “Frasier.” "Friends" and "ER" premiered. · Genocide in Africa: Ethnic tensions in Rwanda between Hutus and Tutsis exploded into mass violence, as 800,000 Rwandans were killed in the space of 100 days. · Software Merger: In a transaction estimated to be worth $525 million, Aldus and Adobe agreed to merge. · Kurt Cobain: Kurt Cobain, leader of the popular Northwest grunge band Nirvana, committed suicide at age 27. · Skater Attacked: Figure skater Nancy Kerrigan was injured by a masked man wielding a crowbar, but went on to win a silver medal at the Lillehammer Winter Olympics. Rival skater Tonya Harding was later implicated in the attack and banned from amateur skating. · Chunnel: The Channel Tunnel connecting Britain and France opened. · Nixon: Former president Richard Nixon died at age 81. · J.: Millions watched as O.J. Simpson fled police in a white Ford Bronco. · Reagan: Former president Ronald Reagan revealed that he had Alzheimer’s. · Codex Leicester: Bill Gates bought Leonardo da Vinci’s Codex Leicester at a Christie’s auction for a record $30.8 million. · Korea: North Korean dictator Kim Il Sung died. He was succeeded by his son, Kim Jong-Il. · Information superhighway: Vice President Al Gore held the first electronic news conference from the White House, responding online to questions submitted via email. · Movies: Top grossing movies of the year included “Forrest Gump,” “Dumb and Dumber,” “Pulp Fiction,” and “Speed.” “Forrest Gump” also netted Oscars for Best Movie, Best Actor (Tom Hanks), and Best Director (Robert Zemeckis). I don't want to look like an <insert badword here>. I really like this series, but thursday has come and gone for a while and 1995 was not posted. Any hints on when it's coming? Multimedia Strauss!!! I had a copy of that CD but lost it. Does Microsoft sell archived content? No HQ download for this chapter? 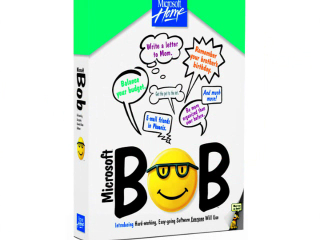 Like many a Microsoft product before and after, Bob was announced before it was finished. The unofficial software will arrive in stores until March 31, 1995, almost three months after its debut at CES. It sold for $ 99, a bit on the pricey side, though it was a time when the software is generally sold for more than that in the coming years. But Bob costing was not as important an issue as the hardware requirements. The program requires a PC with a 486 CPU, 30 MB free disk space, and what the Puget Sound Business Journal called "a large amount of memory, 8 MB, or twice the typical amount to around 1995 computers at home looked. Rookies only be able to experience the equipment owned by Bob if unusually powerful.